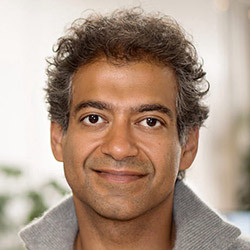 Naval Ravikant is the CEO and co-founder of AngelList, a platform designed to connect startups with angel investors and job-seekers. Its mission is to democratize the investment process and help startups with their challenges in fundraising and finding talent. He is an angel investor and has invested in more than 100 companies, including Twitter, Uber, Stack Overflow, Yammer, OpenDNS, and others. Previously he co-founded Epinions, which went public as part of Shopping.com, and was the CEO of Vast.com, a platform that provides big data for big purchases, informing decisions in complex and/or high-risk environments. Naval has spent much of 2017 building CoinList, a platform for holding initial coin offerings. He’s an avid reader – at any given time, he’s cycling through more than 50 books. If you want to learn more about his reading habits, listen to his conversation with Shane Parrish from FS.blog.